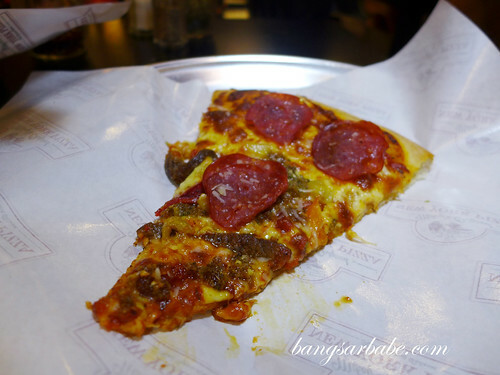 There’s a lot of hype on Mikey’s New York Pizza, the latest pizza joint in Bangsar Baru. The pizzas are considerably larger than an average pizza, cooked in extremely hot ovens until the crust is gloriously crispy. The amount of people raving about Mikey’s pizzas got me intrigued, that I had to try it for myself. Expect to queue for a table if you’re planning to go during peak hours, but turnover is generally quick – I got a table within 15 minutes. 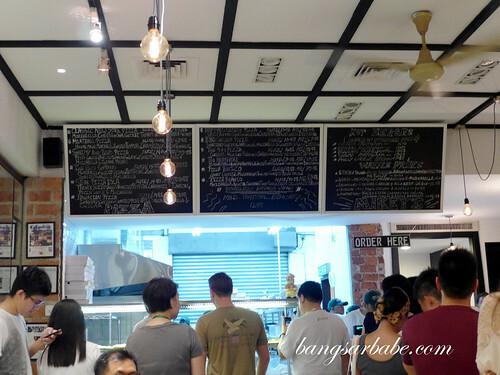 You get a menu to look through while queuing up or when you’re seated, and order at the counter. Your food will be delivered to you when it’s ready. I sampled five types of pizza that night, along with rif and Ken. 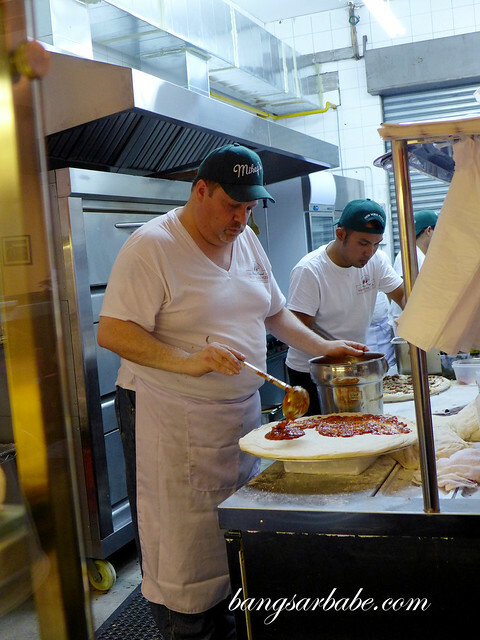 Each pizza had its own unique topping and a crust that was thin and golden, with a smoky crispness. 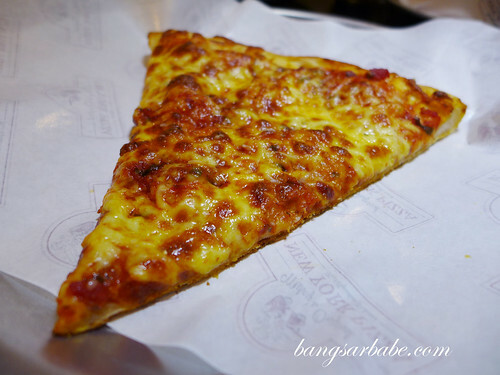 The Classic New York Pizza (RM8.88 per slice) was a basic pie of Mozzarella, tomato sauce, olive oil and Grana Padano cheese. 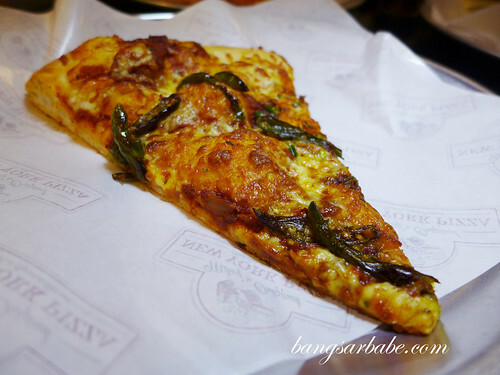 Easy to eat and it doesn’t give you the stuffed feeling that comes with a rich, cheesy pizza. 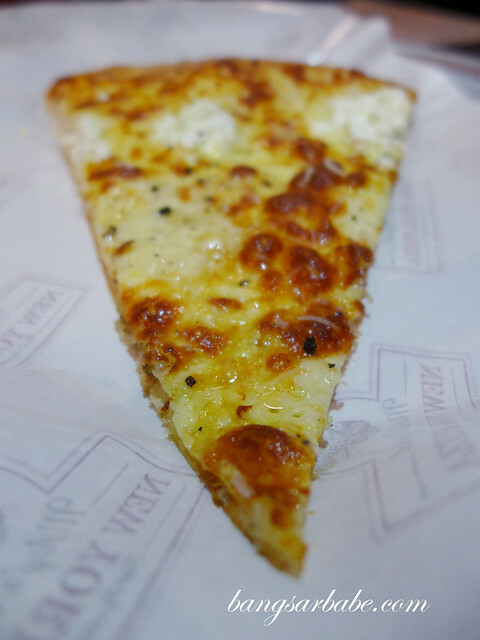 But I preferred the Pizza Bianco (RM10.88 per slice), a four cheese white pizza made using mozzarella, ricotta, cheddar and goat cheese, and topped with olive oil, garlic and black pepper to balance the overall richness. Another popular order here is the Meatball Pizza (RM10.88 per slice), with chunky homemade meatball topping, roasted peppers, caramelized onions and garlic. Not my kind of pizza, this one. I found the meatballs a tad dry and the other ingredients were slightly on the bland side. 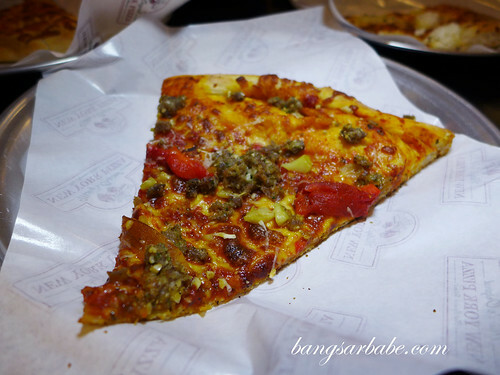 The Tony Soprano (RM15.88 per slice) offers the best of Italian and American pizza – so they claim. This came with chunks of meatball, sliced steak, pepperoni, roasted peppers, garlic and mozzarella cheese. 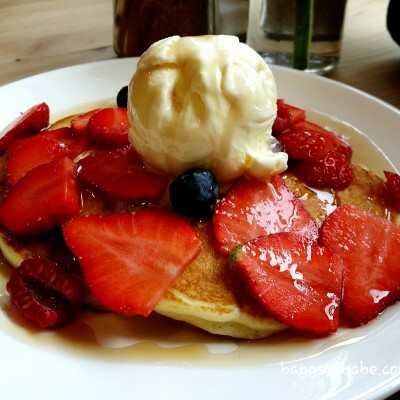 A meat lover’s paradise, this one. For sides, we shared the Brooklyn (RM12.88) and Manhattan (RM15.88) waffle fries, and a serve of boneless buffalo wings (RM12.88). Although the fries were pretty decent, they didn’t exactly knock my socks off. 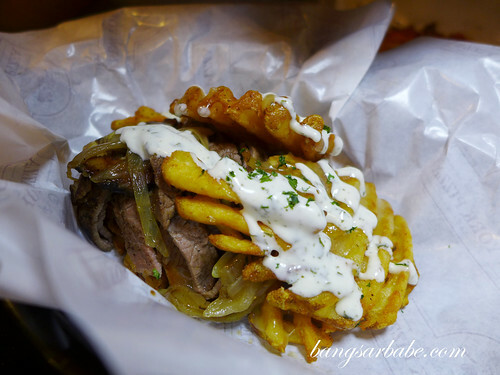 Brooklyn came topped with cheddar and rich beef gravy, while Manhattan was a meaty serve of sliced steak, caramelized onions, white cheddar cheese and ranch dressing. 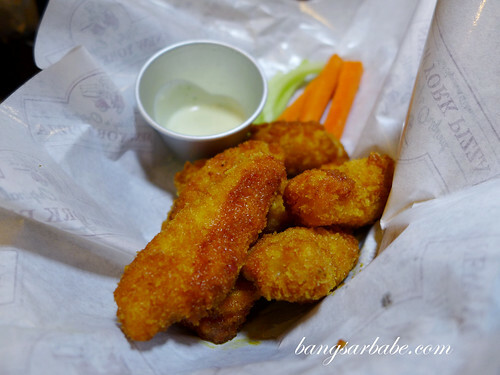 We asked for spicy buffalo wings, which came with a side of blue cheese dipping sauce. Considering how we requested for “spicy”, these were pretty mild. Verdict: Try the Pizza Bianco and The Tony Soprano. 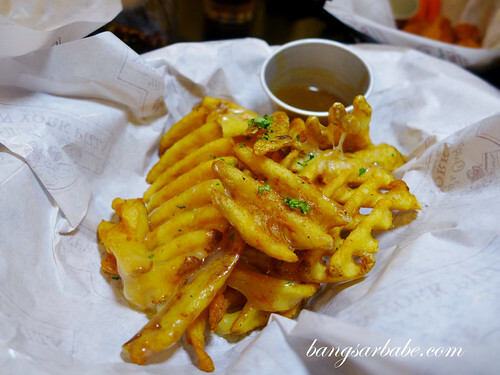 As for fries, order the Manhattan if you’re into hearty bites. 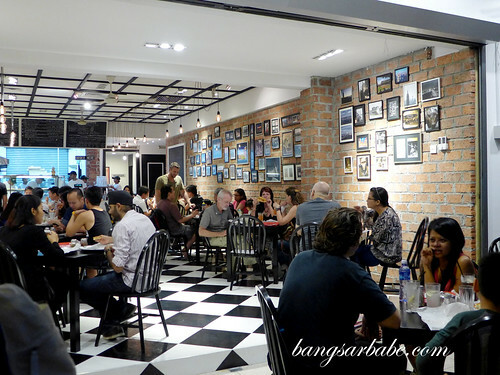 Amazing trend of pizza joints and cafes popping up recently, but one with a crowd is definitely headed in the right direction! Definitely on my to ‘check-it-out’ list. OVERATED and PRICEY. I have tasted better pizzas at other joints and it does not cost as much. Give it a MISS! 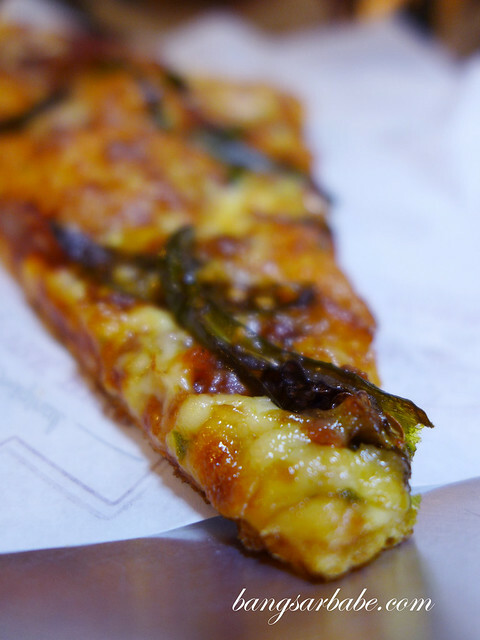 Perhaps you can try the pizza at Porto Romano. I found theirs fairly consistent throughout the years.